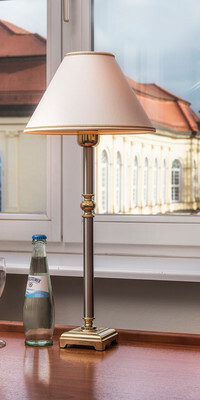 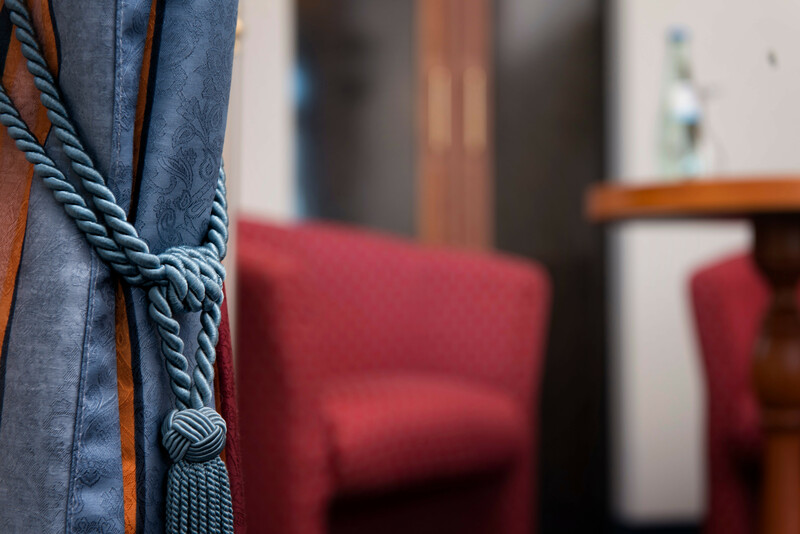 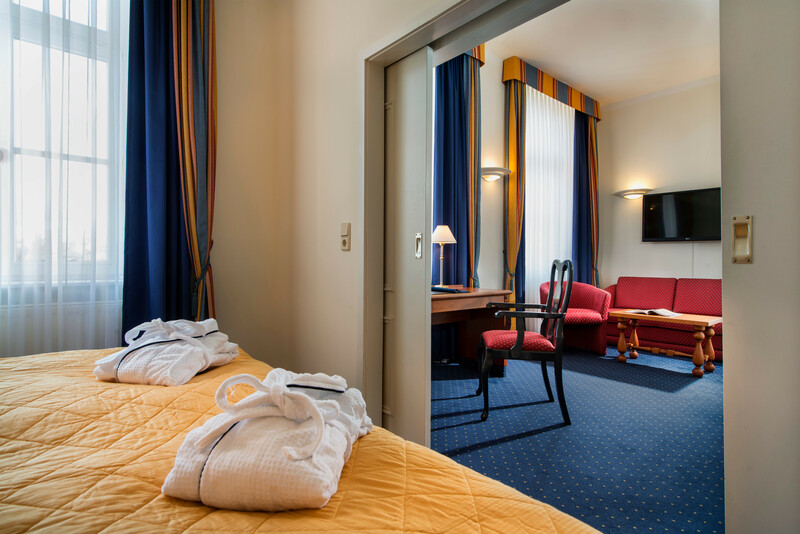 The elegant guest rooms at our hotel in Merseburg are partly housed in the historic Zesch’sches Palais and partly in our modern building; there are four room categories. 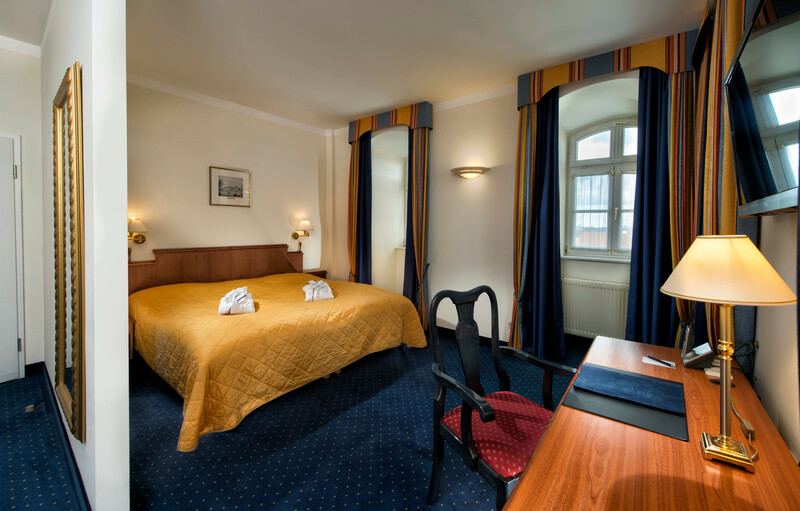 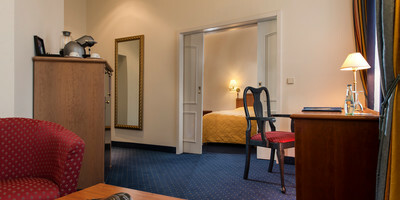 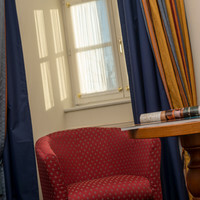 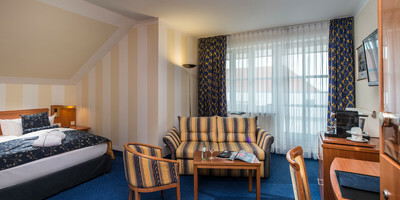 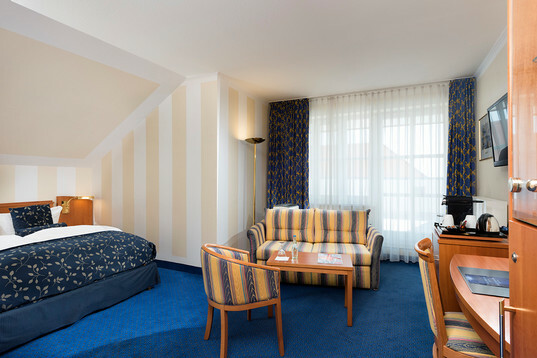 Most rooms offer stunning views of the town of Merseburg with its impressive cathedral and palace. 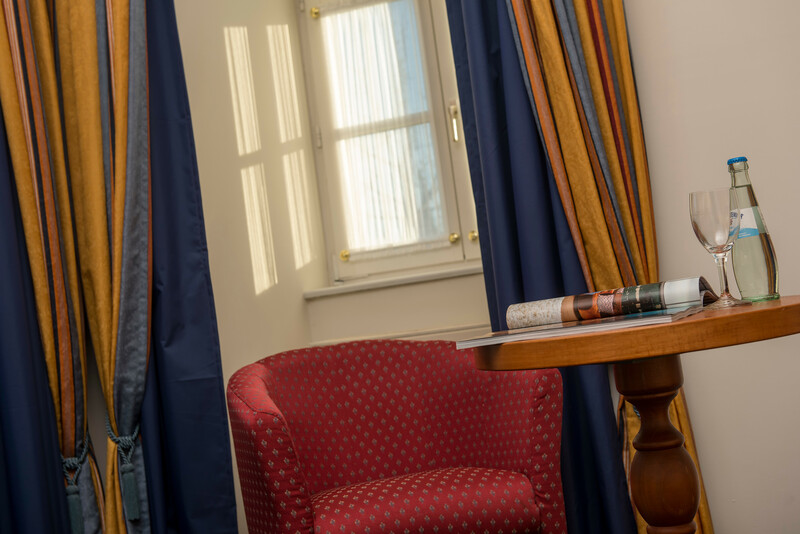 Guests staying in business rooms can admire the views from the privacy of their own roof terrace. 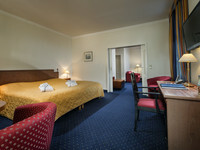 Rooms in all categories have a large marble bathroom with a selection of toiletries. 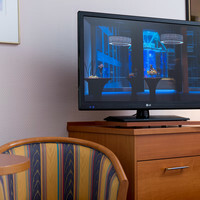 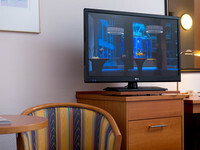 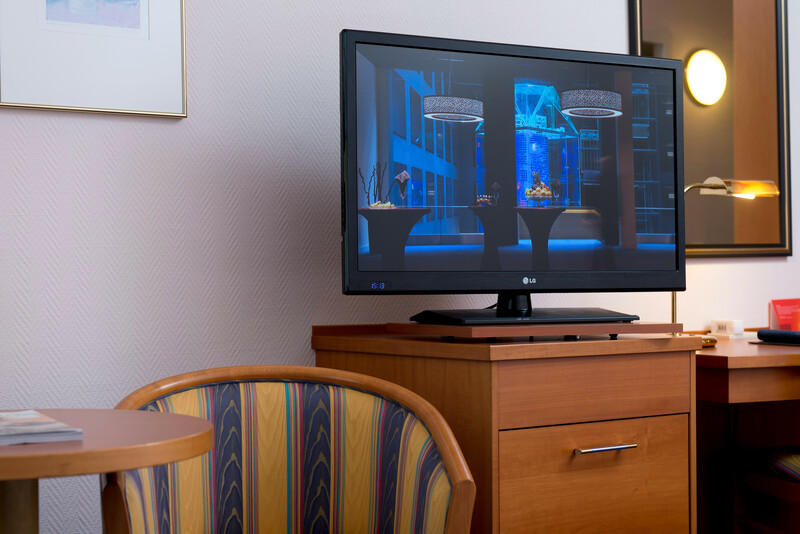 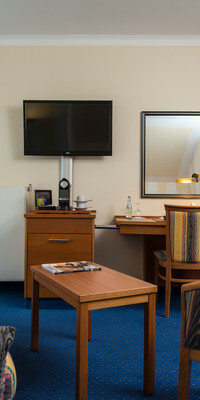 A flat-screen TV, radio, mini bar and free WiFi are also standard in all rooms at the Radisson Blu Hotel Halle Merseburg. 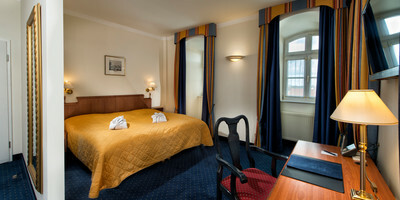 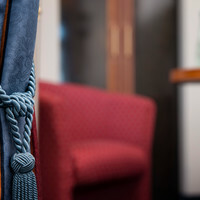 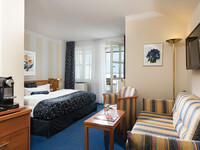 The standard rooms are located both in the main building and our Palais. 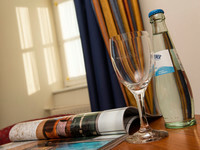 All rooms are fitted with a double bed, work space, telephone, flat-screen TV and mini bar. 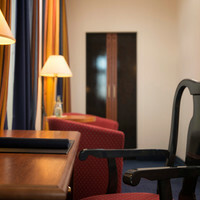 The elegant marble bathroom is equipped with a range of toiletries, a hairdryer and a make-up mirror. 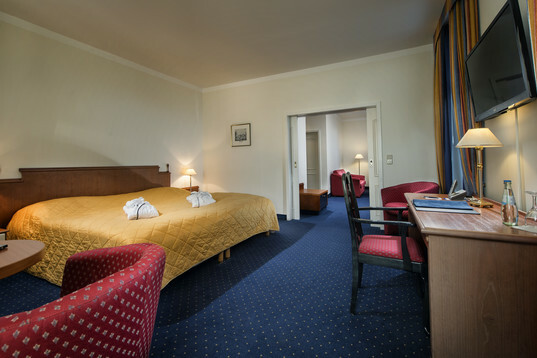 All standard rooms are housed in the Zech’sches Palais. 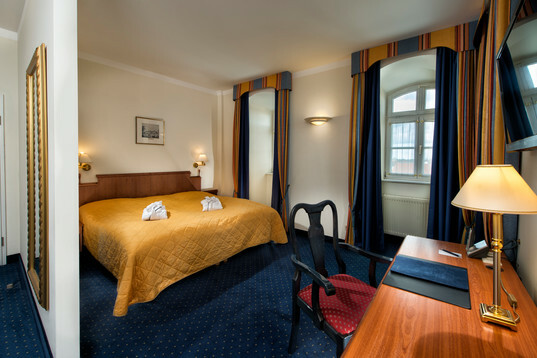 Our spacious superior rooms are flooded with natural daylight. 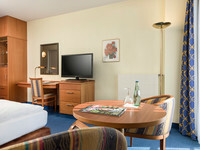 Designed in warm natural tones, these rooms offer a very relaxing atmosphere. 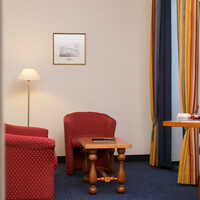 The marble bathrooms feature a large bathtub and a selection of high-quality care products. 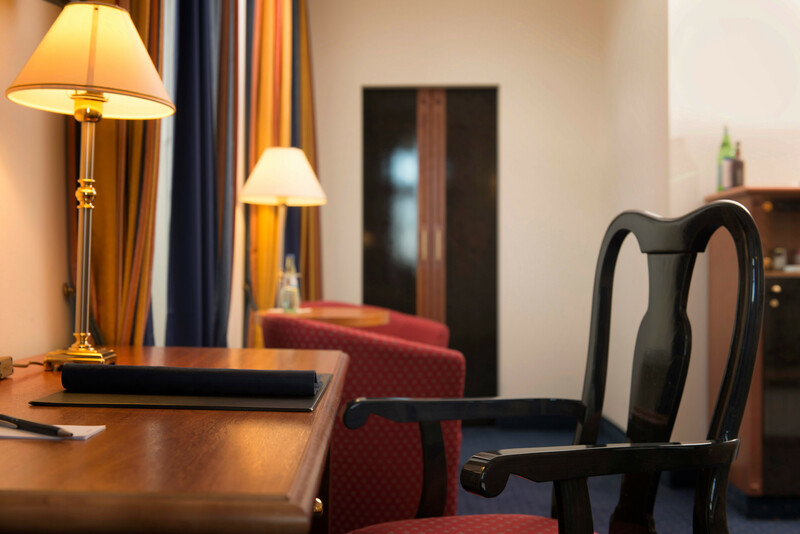 In addition the rooms provide bathrobes and slippers and coffee- and tea facilities in superior rooms for added guest comfort. 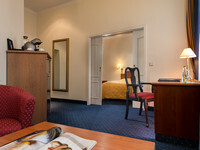 From the superior rooms you have a great view on the palace gardens. 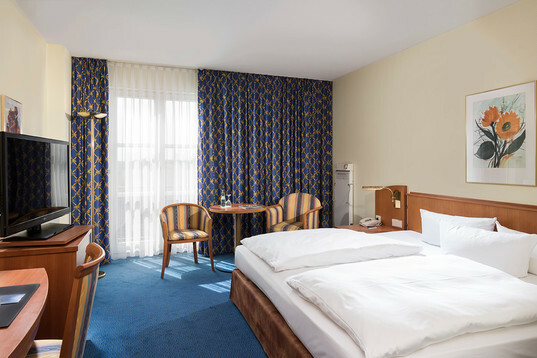 The business rooms at the Radisson Blu Hotel Halle Merseburg offer a special experience in accommodation. 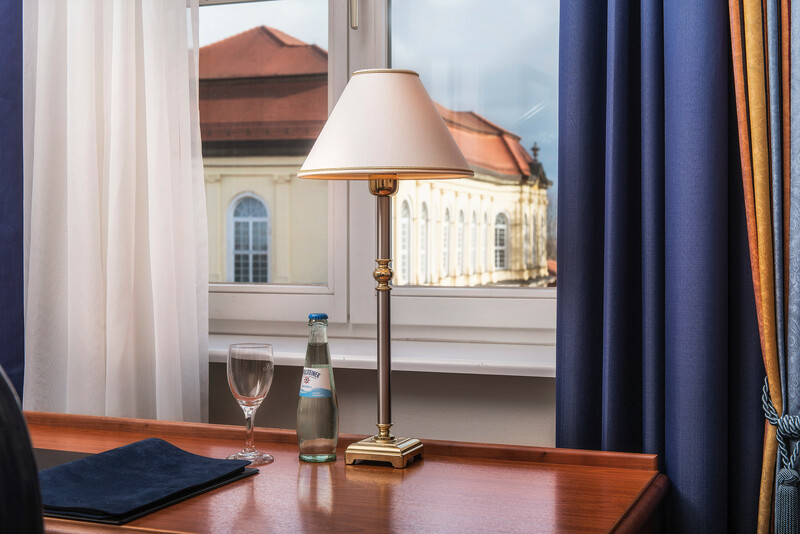 Each room features a roof terrace with spectacular views of Merseburg. 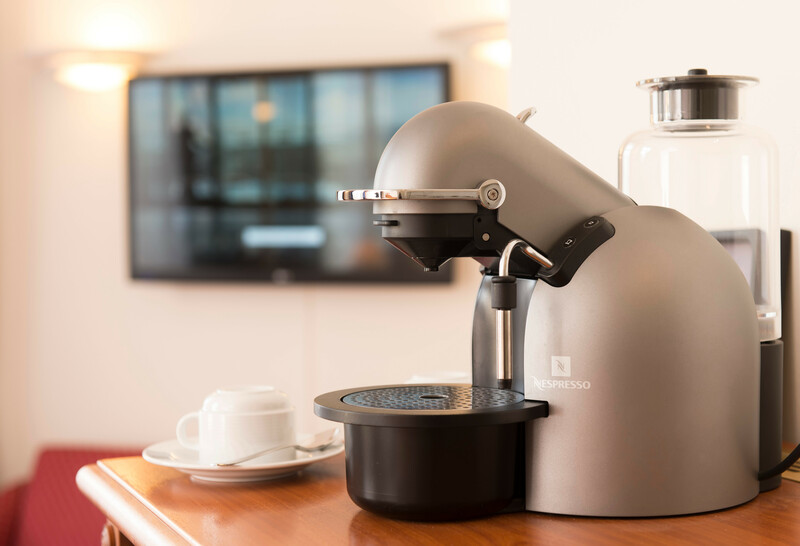 The high-quality fixtures and fittings, including a double bed, work space, Nespresso coffee maker, and free Sky TV, make for an extra comfortable stay. 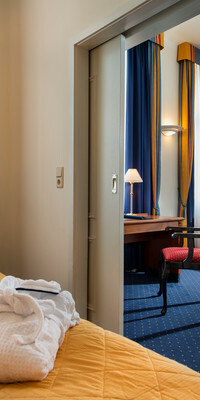 Bathrobes and a daily newspaper will be awaiting you on arrival. 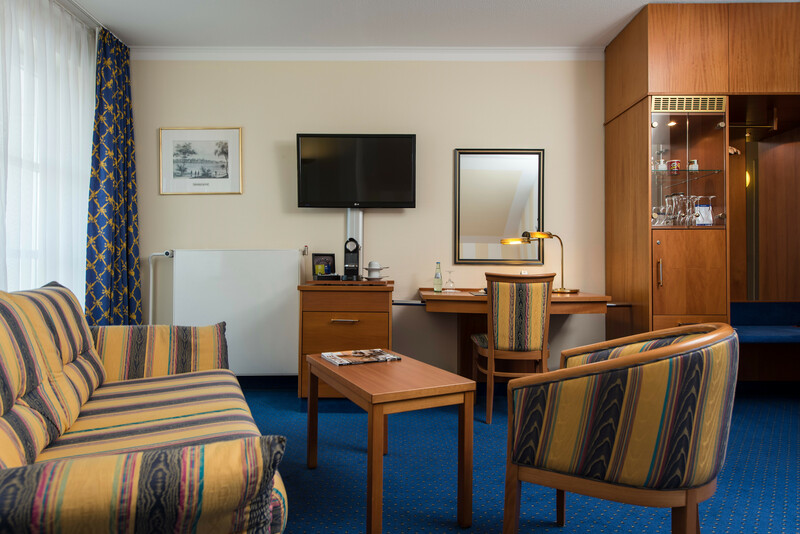 Regardless of whether you are visiting Merseburg on business or on holiday, you may like to treat yourself to one of our stunning junior suites. 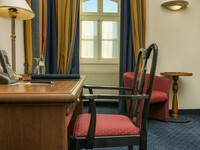 In addition to a comfortable double bed, these suites feature a couch and work space. 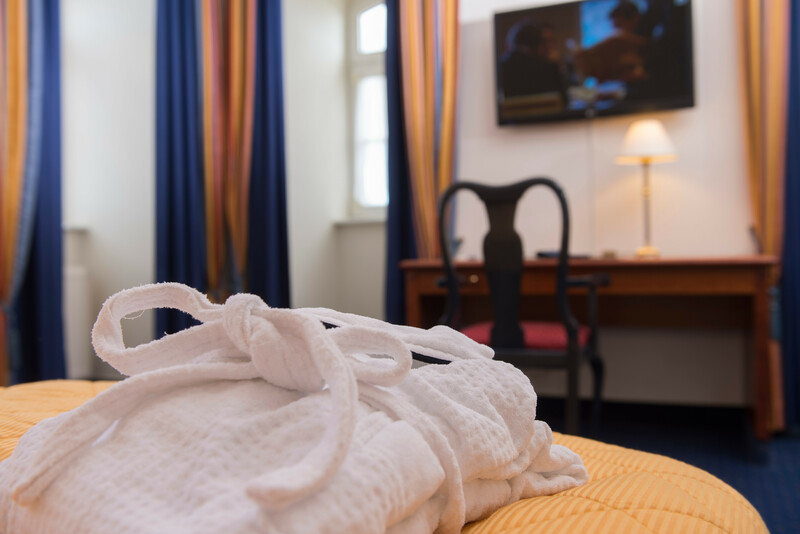 For added luxury, our junior suites also offer free high-speed Internet access, a Nespresso coffee maker, and cosy bathrobes and slippers. 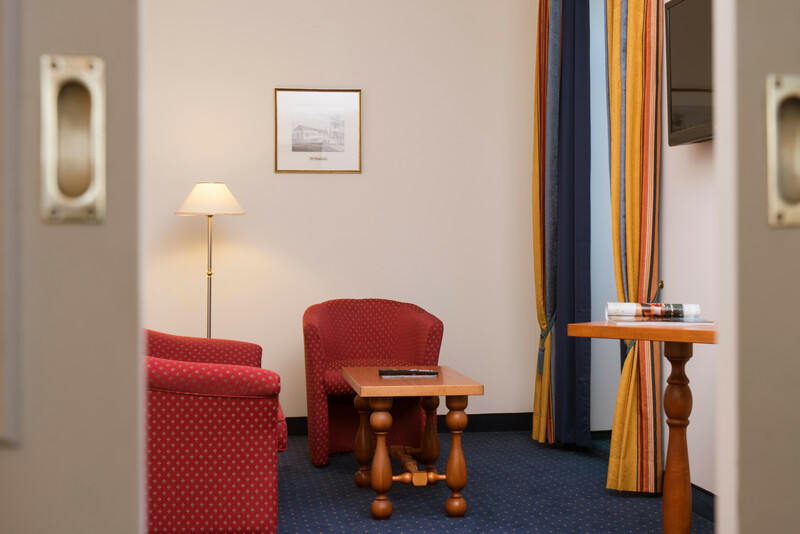 The hotel suites in the Zech’sches Palais, featuring separate sleeping and living areas, offer delightful views of the palace gardens. 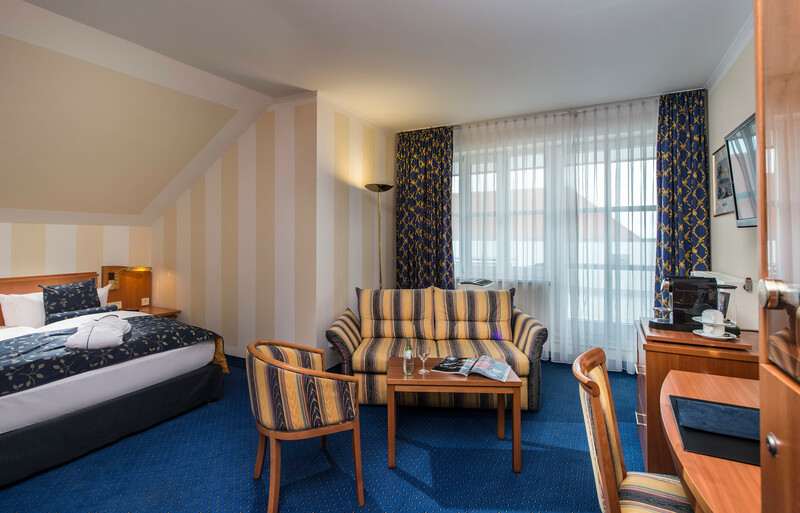 These are the most spacious rooms at the Radisson Blu Hotel Merseburg and are fitted with a large double bed as well as a comfortable couch in the cosy living area. 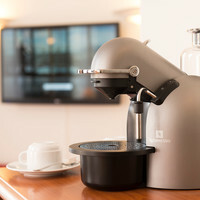 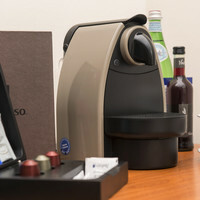 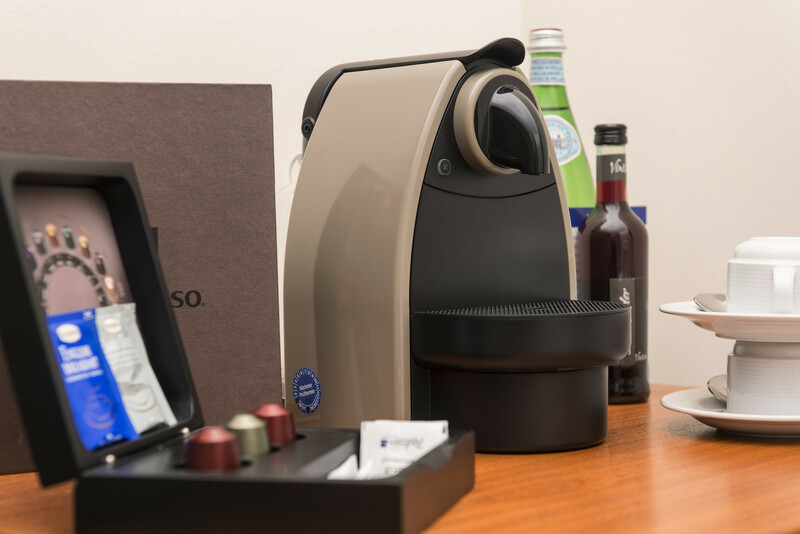 An exclusive range of care products is provided for your convenience, along with a flat-screen TV and a Nespresso coffee and tea maker.